My multimedia exhibition of Green: a paradox of abundance and scarcity will be exhibiting until February 25 at the Fort Worth Community Arts Center, TX. It is so gratifying to see this work exhibited in their beautiful space and to have it seen by their large and enthusiastic audience. 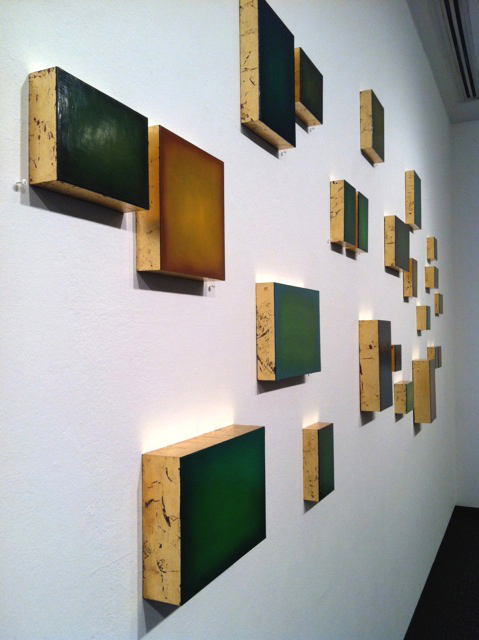 Green is an exhibit inspired by my Artist residency in Thailand. It is made up of several components: five written text plates of poems, 16 Vapors which are beeswax sculptures made as Thai wrapped food but hollow, Seeds which are 27 paintings on paper on wood, and 18 photos. There are also four videos. While embraced by the abundance of vegetation and food in Thailand I became acutely aware of the paradox—the deprivation in the surrounding countries of Myanmar, Laos and Cambodia. The inequality of sharing the earth’s bounty seems senseless and immoral to me. Also the abuse of our planet by its human inhabitants endangers all the living things I was witness to. 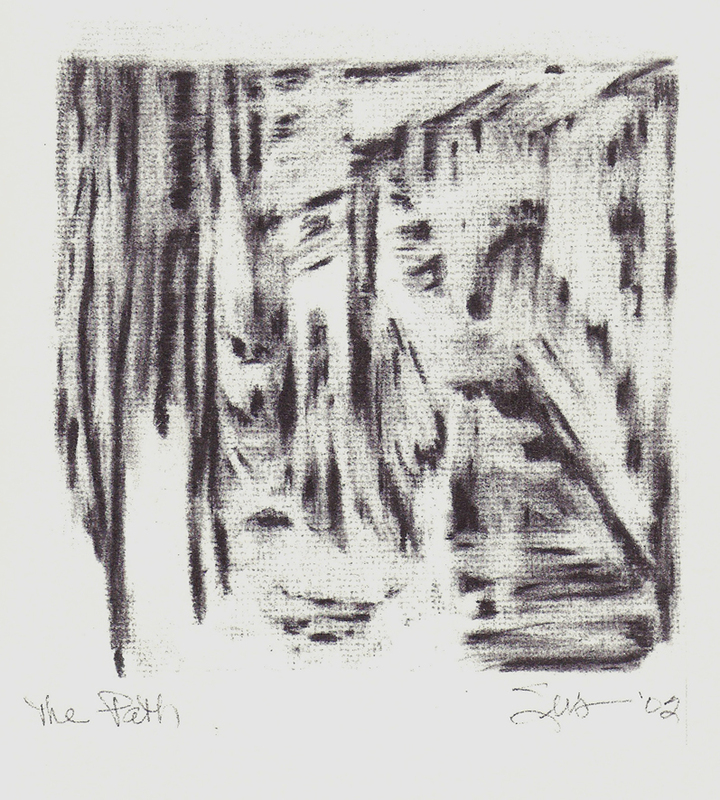 This paradox produced poignant reflections that are expressed in this work… the ‘Beauty and the Beast’ so to speak. The beauty draws you to contemplate the fragility of the earth’s bounty, and thus it’s people’s, condition. 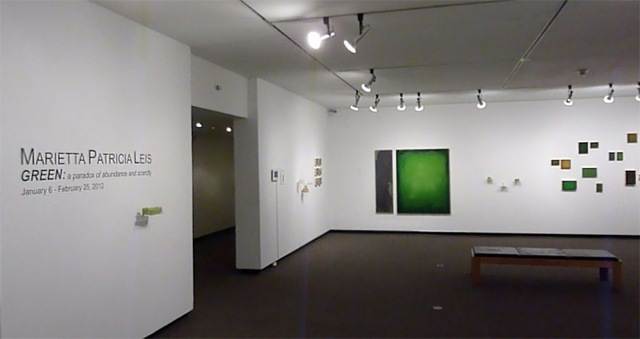 “GREEN” Exhibits in Fort Worth Now! I’m excited to share these photos with you of the inaugural exhibit of GREEN: a paradox of abundance and scarcity. 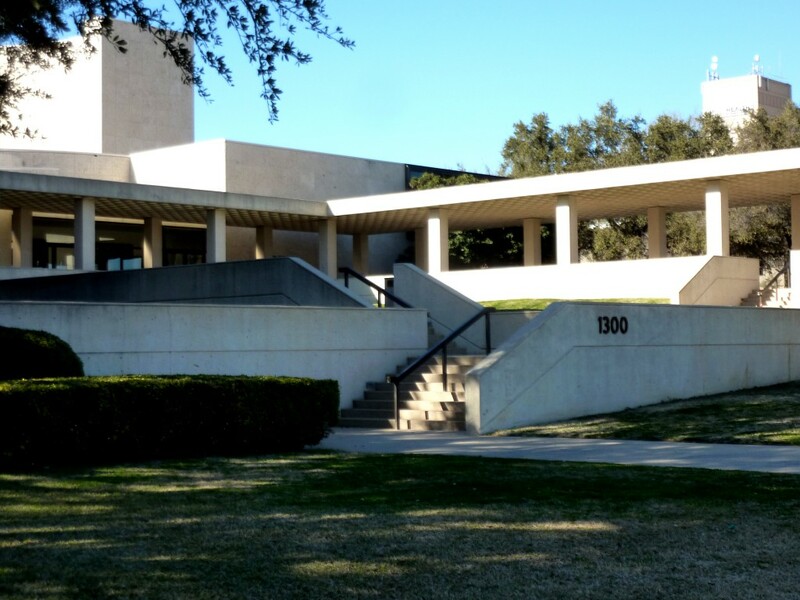 Our experience at the Fort Worth Community Art Center was terrific. The building and grounds were the former Modern Museum and a wonderful setting. It took my husband David and I, with some great help, 3 days to install the art. It’s complex because there are 67 pieces to install mostly in groupings that can’t be choreographed until you’re actually in the space. The result was worth the work, as you will see from the photos. There are 9 gallery spaces in the Center all having openings the same night as ours so you can imagine we had quite a crowd. The audience was very responsive, studying the work carefully, reading the poetry, looking at the videos and taking in the entire installation while asking questions and reflecting. I believe a lot of the viewers left thinking about the complexity and inequities of ‘abundance and scarcity’. I want to thank again all the backers that pledged so generously to the Kickstarter.com funding campaign to ‘kick’ off the tour of this exhibit. Remember this exhibit will be showing until February 25th in case you’re in the neighborhood. 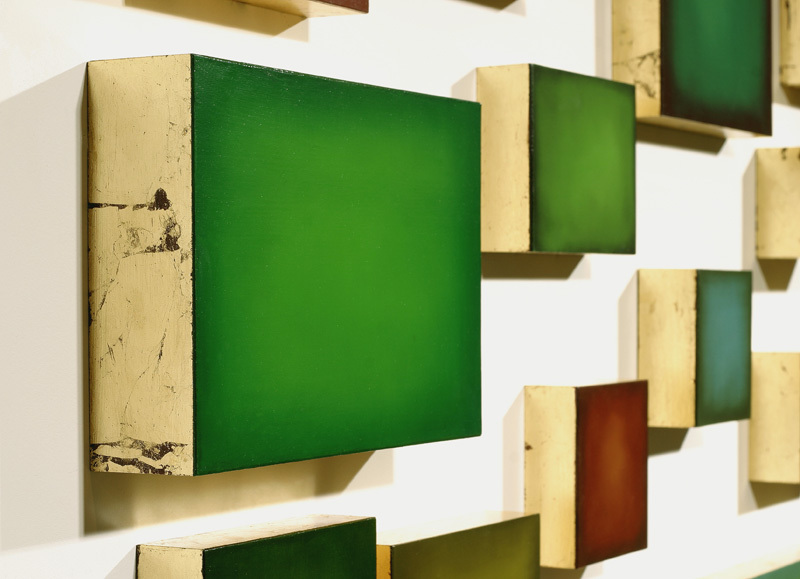 My multimedia exhibition of Green: a paradox of abundance and scarcity will be exhibiting Friday January 6 – February 25 at the Fort Worth Community Arts Center. There will be an opening reception Friday January 6, 6–9 PM. It will be so gratifying to see this work exhibited in their great space and to have it seen by their large and enthusiastic audience. 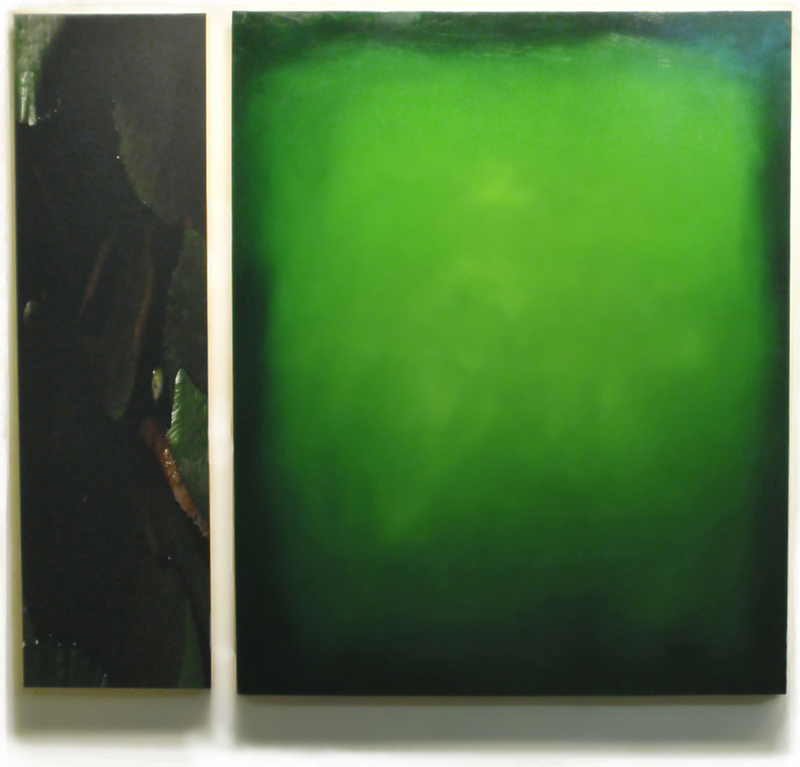 Green is an exhibit inspired by my Artist residency in Thailand. It is made up of several components: five written text plates of poems (example below), 16 Vapors which are beeswax sculptures made as Thai wrapped food but hollow, Seeds which are 27 paintings on paper on wood, and 18 photos. There are also four videos. R. Bailie, Untitled Fine Arts Serv. Kickstarter: Guess what you can find me pitching my multimedia project, Green, a paradox of abundance and scarcity on Kickstarter, a great website that helps people with projects to get funding. I have initiated what I hope will be a 3-year traveling exhibit called Green, a paradox of abundance and scarcity which will be opening January at the Fort Worth Arts Center, TX. Rather than the typical art exhibit that is intended to sell work, my intention for Green is to tour non-profit community art centers, universities & colleges for the purpose of educating and exposing folks from around the country to the issues surrounding scarcity amidst abundance. Unfortunately all of these exhibit venues are experiencing severe budget cuts due to current economic conditions. As a result they are no longer able to pay for crating and shipping of my work despite the fact they are VERY interested in participating with me on this project. As a result I have launched a Kickstarter project that I think you might find fun, interesting and hopefully worth collaborating in with me. If you are not familiar with Kickstarter you might get a “kick” out of checking out their website which is dedicated to helping artists, inventors, and other creative types get their projects funded. I am really excited about the reception this work has received from curators around the country and I am hoping that you might help me pay for the crating and shipping of this multi-media exhibit. All of the proceeds will be devoted to these out-of-pocket expenses. None of the funds raised will go to me personally. I need your help to get this exhibit seen, hopefully in as many venues as possible. I would love for you to become my partner in this exciting traveling exhibit and will send you a gift if you can see your way clear to participate with me. Check out the link below and please pass this along to everyone you think might be interested. Thanks a bunch for considering this partnership with me. There will be a group exhibition entitled, ComPeung-Revisited, curated by Helen Michaelsen and Ong at the Chiang Mai City Arts and Cultural Center, Thailand, December 2-29. Leis will be exhibiting a collaborative piece with David Vogel. To be included in the exhibit is Thai Reflections (below), an archival ink print of Leis’ pen and ink night drawings and Vogel’s water photographs. 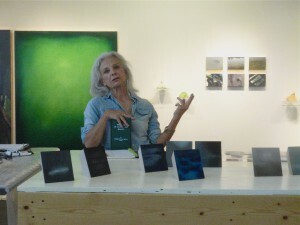 A catalog will be produced and available in May 2012. The curators are also the co-directors of the ComPeung Artist Residency in Doi Saket, Thailand. 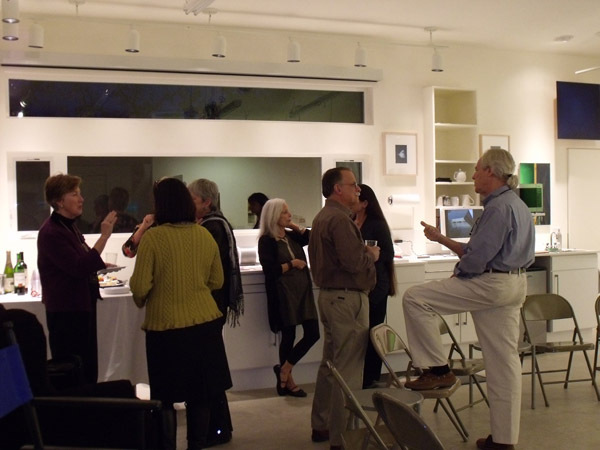 A ‘conversation’ was held at my studio sponsored by Creative Albuquerque www.creativeabq.org/ on November 10. This group meets to discuss a topic and that afternoon they wanted to chat with David (my husband) and me about our experience at the Artist Residency in Finland this past summer and also about our travels and my residencies in general. Boy did we have a lot of sharing to do. Creative Conversations: Round the World with Marietta Leis and David Vogel is next Thursday, November 10 at 5:00p, at Marietta’s beautiful studio. Over cocktail hour, the dynamic duo will share stories and images from a recent artist residency in Finland’s Arctic Circle, as well as other travels. It’s Raining, It’s Pouring: A group exhibit at the Wiseman Gallery, Rogue Community College, Grants Pass, Oregon, will be showing 2 of my oil on canvas paintings, Lucent I and II, both 24” square. Karl Blake, Gallery Director is showcasing contemporary art that reflect issues relating to water—melting glaciers, radioactive water, oil contamination etc…The exhibition is scheduled November 2-December 9. More information can be found at www.roguecc.edu/galleries or at 541-956-7339. My statement for Lucent I and IItells of my concerns for our Polar ice regions that are experiencing melt downs at an alarming rate. This will impact our planet in many ways. The beauty of these environments distract from the drama that is the underbelly of climate change. My oil paintings are reductive color fields depicting my impressions of the delicate beauty of ice and water. I want to draw people into the work where they can then contemplate the deeper levels of meaning. It is necessary. Kathleen Alaks writes about the exhibit in the Daily Courier, OR article stating, “Marietta Leis of New Mexico paints color as a subject. 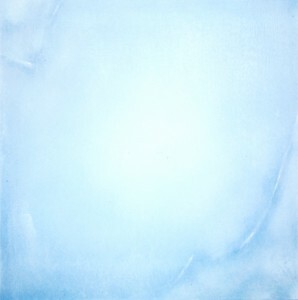 Her oil paintings, Lucent I and Lucent II, influenced by a seven-week trip she took to Alaska, are canvases of translucent, luminescent intense blue, capturing the delicate beauty of ice and water and representing the problems of climate change and the shrinking of polar ice caps”. My studio assistant, Joni Tobin, and I prepared for their visit by doing some long overdue straightening up. Seems like we’ve been doing office chores playing catch up ever since my return from Finland. So this was a welcomed opportunity to put the studio into order. 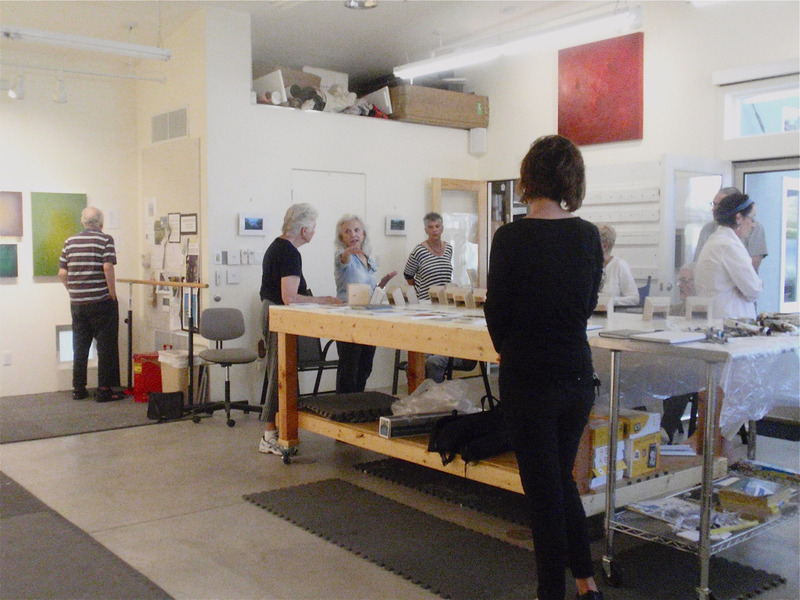 I was really happy to host this group of art devotees and show them my work and studio. I wanted this be a discussion or conversation rather than me lecturing but best made plans …..They were such a rapt audience and I love to talk about my work so we were off and running pretty quick. My GREEN exhibit was still up on the walls of my studio so I began by describing that exhibition to them; the paradoxical theme of scarcity and abundance and the multimedia elements of sculptures, paintings, photos and videos. I was especially gratified to get their positive comments regarding the videos, as this is a new medium for me but a very enthusiastic endeavor.